For 17 years from 1764 to 1781 George Gauld, a Scots surveyor, charted the waters of the Gulf coast off British West Florida. In 1773 he drew a map of Grand Cayman based on the first survey made by the Royal Navy. He was elected to the American Philosophical Society in 1774. 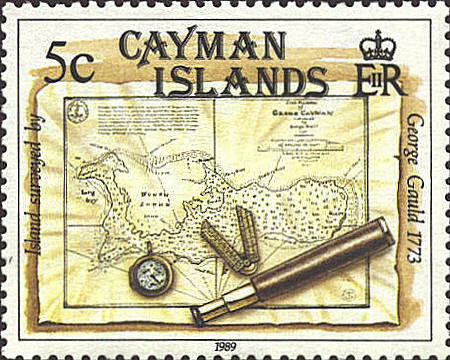 His surveyor's tools and his map appear on the stamp of the Cayman Islands issued in 1989. 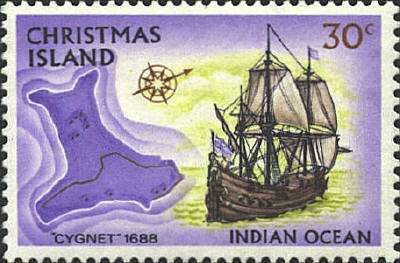 In 1972 Christmas Island, a territory of Australia 230 miles south of Java, issued a set of 16 stamps with a map of Christmas Island and a ship. The ships differed, but the map was the same map,. In 1541 Cocos Island in the Pacific Ocean was included on French navigational charts. 300 miles southwest of Costa Rica, it is one of the largest uninhabited islands in the world and is covered by a humid tropical forest. Many birds, lush vegetation, and a variety of sea life together with rugged terrain and many waterfalls provide a dramatic environment. 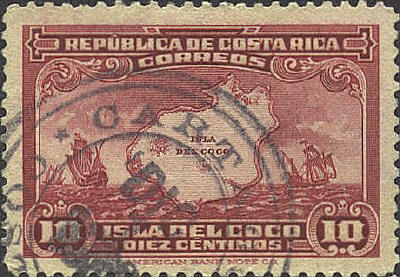 Cocos Island is shown on the stamps from Costa Rica. The Cocos Islands in the Indian Ocean were first visited in 1609 by Captain William Keeling of the East India Company. Seventeen years later the first settlement was established. The Islands came under the control of Australia in 1955, and in 1984 the islanders voted to become a part of Australia. 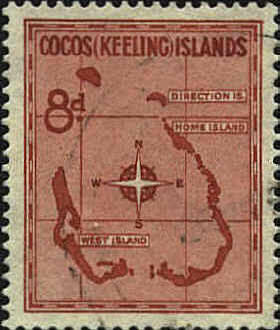 The Cocos (Keeling) Islands on their own stamp. There is a third Cocos Island with an area of 100 acres. It is a mile off the southern coast of the Island of Guam in the Pacific. In 1690 the Nuestra Senora del Pilar de Zaragosa y Santiago was sunk near the island. 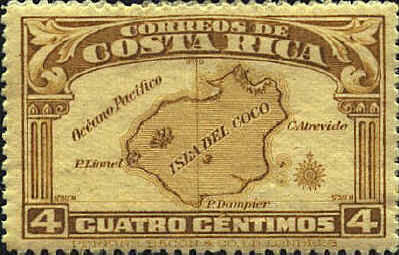 No stamp shows this Cocos Island.